The fractured remains of the once great empire of the drow and east. When Karsoluth took its people and left, there weren't many remaining to hold Shetou together. Despite that, as the rightful carriers of the Shetou flag, the few that remain keep an extensive amount of power over the system. However, with the departure of the conservative drow houses from Shetou the nature of its politics have shifted even if not officially on paper. In these times of strife, Laesaaria Val'Hari has been recognized as the one true ruler of Shetou since she was the only Val'Hari left, and there were less people to represent now anyways. Now council houses are chosen specifically by Laesaaria instead of the original game of murder that had taken place. One of the great houses to rise to power during Quantaina's reign as the modern Shetou was formed combining the drow cities with the eastern ones against Alnae. Linsun is a very spiritual house led by democratic processes, often they can be found meditating and practicing the zankou arts. Their society is filled with old fashioned cultural mannerisms and traditional foods as they hold on to preserve the history of the empire. They happen to control the major universities of Shetou around the system that they maintain as neutral ground. People generally left them alone since they weren't doing anything controversial until one of them showed up at the council meetings and took a seat to petition for some changes to benefit the education system. Since then no one really seems to have gotten around to kicking them out and they kept showing up, subtly becoming one of the great houses without as much friction as any other. 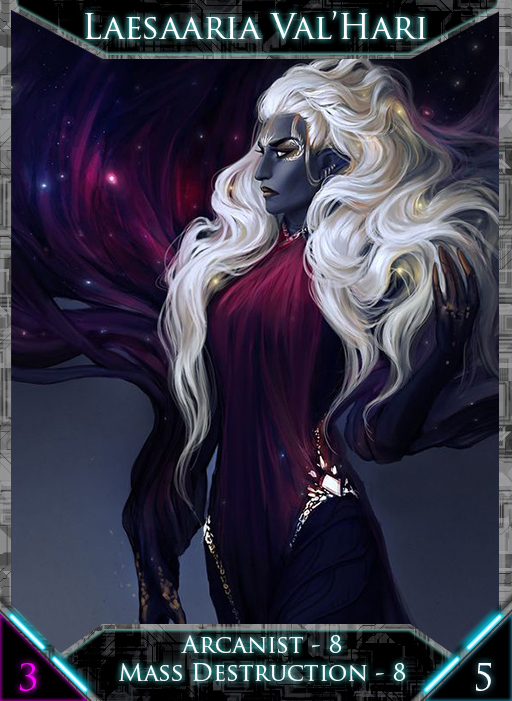 During the reign of Quaintana they were brought into the fold as a move to further unify the eastern lands with the drow, the Val'Haris have since respected Quaintana's decision and Linsun remains left to their own affairs to monitor the empire's higher education. The house wields significant power in the empire since education is more important now then ever before, but has very little way to enforce its will or protect itself. Though its age old traditions are respected by the other eastern houses and any attempt to remove them from power would likely be met with aggression from more physically dangerous houses. In the aftermath of the Karsoluth schism, Linsun has lost its protection by holding a monopoly on education. The Karsoluth houses as well as those that went independent pulled their young out of Linsun's education system and it has now become a direct target by Karsoluth forcing it to reassess its security measures. While it is still protected by Shetou, it was always protected by an unspoken threat. Now that an opposing empire wants it destroyed, it has to focus more on walls and guns. If anyone can be considered royals, it is House Sharen. The richest and most powerful of all the great houses, they claim to be directly descended from an elven god...before the era of the purge went around killing all the gods. Sharen once legislated the workings of the drow kingdom that was absorbed into Shetou and control a vast number of minor houses. Because of this their income sources vary widely as they have their hands in so many forms of business. They also possess the most powerful naval force in Shetou with colossal fleets of battleships that patrol Shetou territories and often help to ferry other house ground forces around. A large part of their power comes from sheer age as they were rich every time history changed and had a good position to keep staying rich, combined with their somewhat power hungry and greedy nature they were always looking for new developments that would give them an extra boost. While many of these ventures have failed, almost every time a major development in economy happened they were invested in it before anyone else. The other part of their power comes from their technological lead over everyone else, during the industrial age they were the first to put serious money behind the ideas of machines and factories. Since then they've continued that practice to try and always have a hand in the next big thing, which included space ships making them the first to try and colonize new worlds. In the aftermath of the Karsoluth schism, Sharen didn't go with them as expected. Instead, it cemented its alliance with House Song and recognized Laesaaria as the true ruler of Shetou. It isn't totally clear what caused them to stay with the original empire given they would have certainly had majority control over Karsoluth had they gone.